Thank you for your interest in DriveWorks Solo. DriveWorks Solo has been developed to provide you with an easy, fast, and powerful way to automate your SOLIDWORKS models. 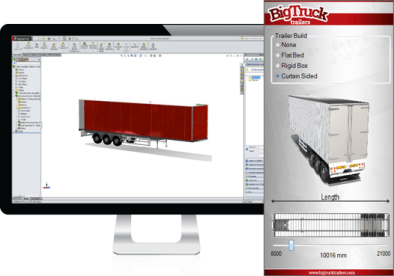 It's also a great starting point if you want to have a configurator that can be used outside SOLIDWORKS by non-technical colleagues, dealers, distributors and even customers. Download DriveWorks Solo and Install on the machine that already has SOLIDWORKS installed. More information on downloading and installing can be found in the Installation topic. Launch SOLIDWORKS and Activate your DriveWorks Solo License. From the SOLIDWORKS Task Pane click the DriveWorks Solo tab and follow the instructions provided in the helper links. More information on licensing can be found at http://help.driveworkssolo.com/Topic/Licensing. Your DriveWorks Solo license is emailed to the address provided when you registered your account. If you do not have this the code can be viewed by logging back into your DriveWorks Solo account. You are now ready to start automating your SOLIDWORKS models. We recommend you complete the training course (available online at https://hub.driveworks.co.uk/training/solo-training-material/). For additional assistance please see the topic Getting Further Help.